Headstone stone maker: Sip Thorpe Dublin. 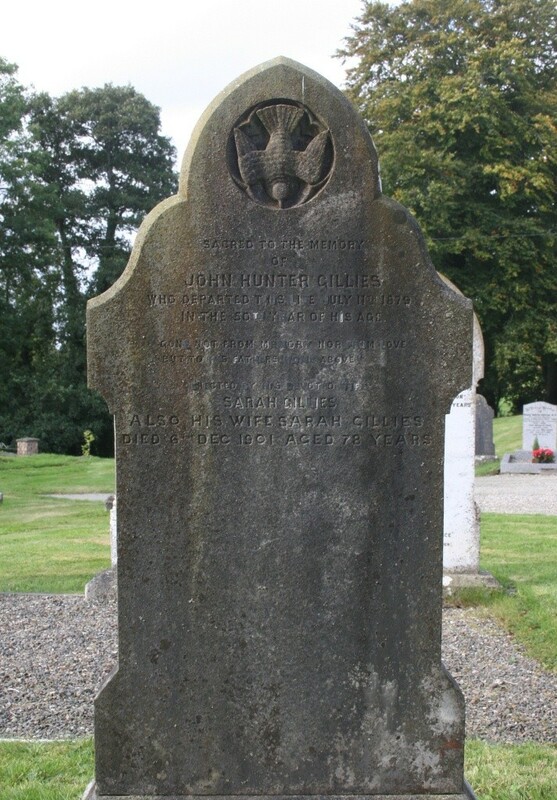 Sacred to the memory of John Hunter Gillies who departed this life July 11th 1879 in the fiftieth year of his age. But to his father's home above. Erected by his devoted wife Sarah Gillies. 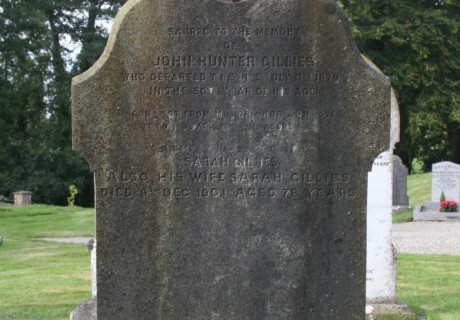 Also his wife Sarah Gillies died 6th Dec. 1901 aged 78 years.